BCS #169 is out today, featuring two stories of characters trying to leave their situations, plus a guest-narrated podcast and a new episode of The BCS Audio Vault. 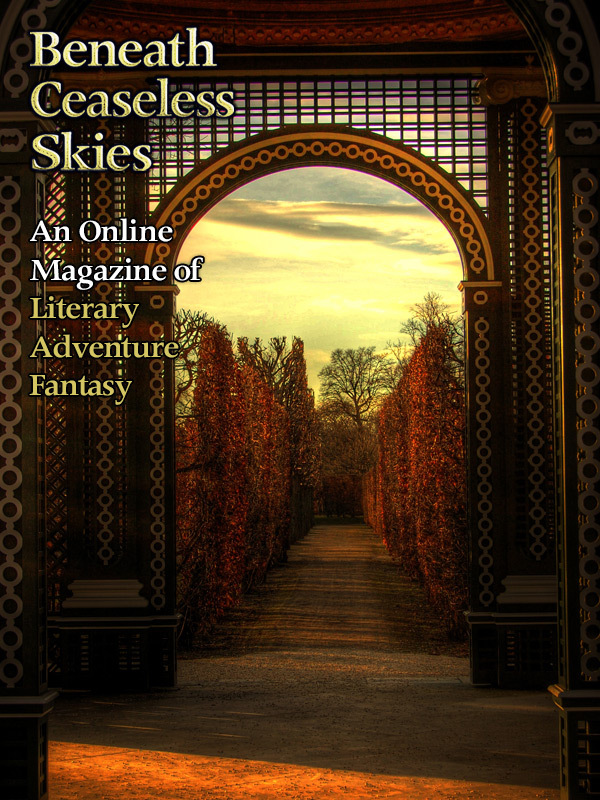 Carrie Vaughn, bestselling novelist of the Kitty Norville series and other novels and award-winning short fiction writer, offers “Sun, Stone, Spear,” a tale of two eager young people leaving their village behind to strive for something more. Sylvia Anna Hivén (“What Needs to Burn” in BCS #152) returns to BCS with “The Sixth Day,” another tale of a character striving for something more, although this character’s situation is rapidly constricting around her. 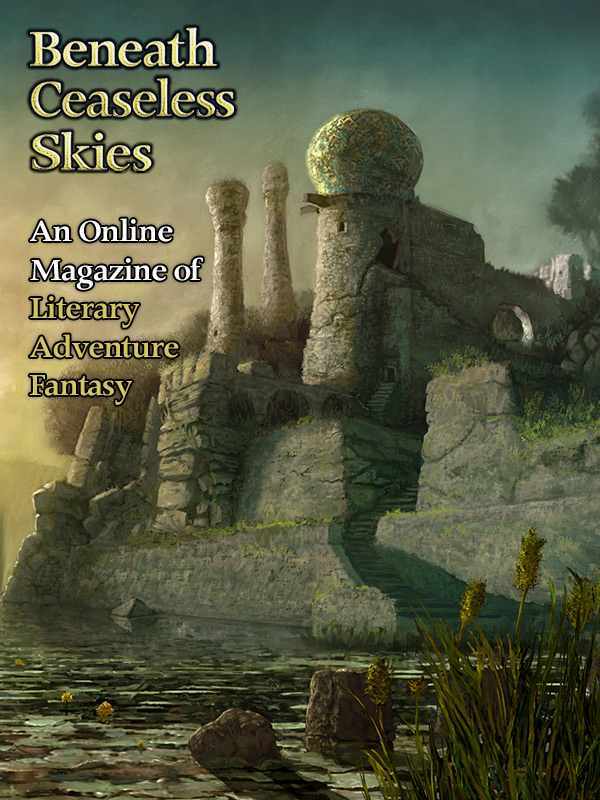 The BCS Audio Fiction Podcast episode is BCS 146: Sun, Stone, Spear by Carrie Vaughn, guest-narrated by Folly Blaine, who has narrated past BCS Audio Fiction Podcast episodes including BCS 143: The Metamorphoses of Narcissus by Tamara Vardomskaya and BCS 137: Butterfly House by Gwendolyn Clare. The BCS Audio Vault episode with BCS #169 is BCS Audio Vault 016: Blighted Heart by Aliette de Bodard. It’s introduced by the author, explaining her particular fondness for the story–one of the first shorter pieces she wrote–and her first foray into Aztec culture, and its themes of duty and sacrifice and paying the cost for actions taken. Out today is a new episode of our new podcast, The BCS Audio Vault: 003: Haxan by Kenneth Mark Hoover. 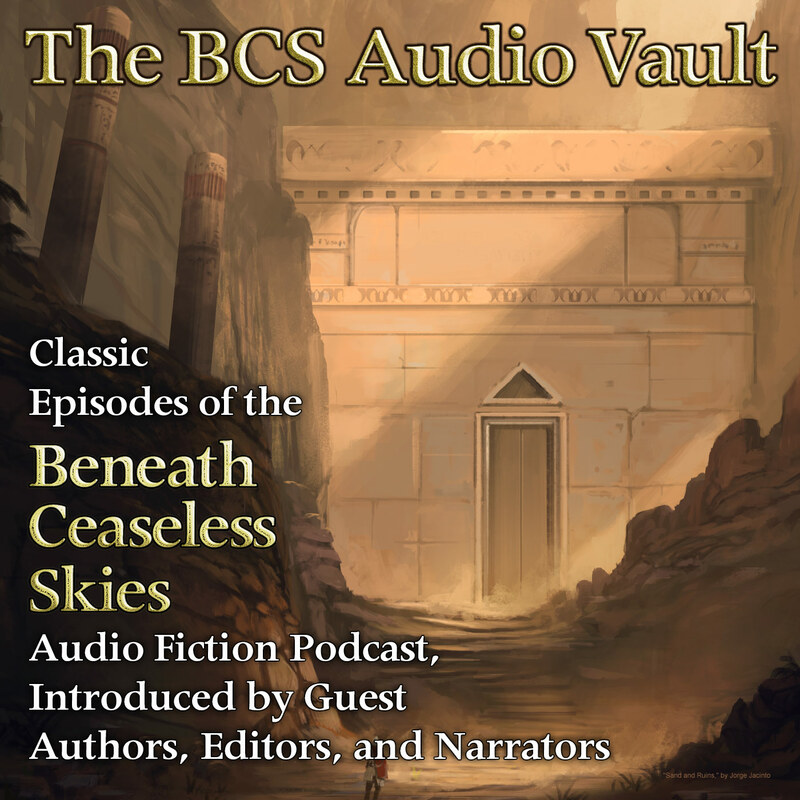 The BCS Audio Vault showcases past stories from the BCS Audio Fiction Podcast, each introduced by a special guest author, editor, or narrator. BCS Audio Vault 003: Haxan by Kenneth Mark Hoover features the author introducing his Weird Western story from BCS #13 back in 2009. A second story in the same series, “High Moon,” later appeared in BCS #32, and CZP/Harper Collins just last month published Mr. Hoover’s novel set in this series, also titled Haxan. A second novel will be out in 2015. In Mr. Hoover’s introduction, he discusses the ethos behind the protagonist of the story and the novel, US Marshall John Marwood, and his eternal struggle and burden. To hear a new episode of The BCS Audio Vault every fortnight, including stories by Marie Brennan, David Tallerman, and Seth Dickinson and introductions by Marie Brennan, Rajan Khanna, and Lou Anders, subscribe to The BCS Audio Vault via RSS feed or look for it on iTunes. Out today is a new episode of our new podcast, The BCS Audio Vault: 002: One Ear Back by Tina Connolly. The BCS Audio Vault showcases past stories from our two-time Parsec Award-finalist BCS Audio Fiction Podcast, each introduced by a special guest author, editor or narrator. BCS Audio Vault 002: One Ear Back by Tina Connolly features the author introducing her story from BCS #97 back in 2012. She also narrated the podcast reading, and in her introduction, she discusses how “One Ear Back” was inspired by an Icelandic folk tale and the life questions it raised, and by one particularly expressive cat. Check out BCS Audio Vault 002: One Ear Back to hear Tina Connolly’s fascinating comments on her story and hear her narration of it. To hear more episodes every fortnight, which will include stories by Marie Brennan, David Tallerman, and Seth Dickinson and introductions by Marie Brennan, Rajan Khanna, and Lou Anders, subscribe to The BCS Audio Vault via RSS feed or look for it on iTunes. BCS is launching a new podcast: The BCS Audio Vault! The BCS Audio Vault will feature classic episodes of our two-time Parsec Award-finalist BCS Audio Fiction Podcast, each introduced by a special guest author, editor or narrator. The premiere episode of the BCS Audio Vault is Chris Willrich’s story “How the Wicker Knight Would Not Move” from BCS #99 back in July 2012. 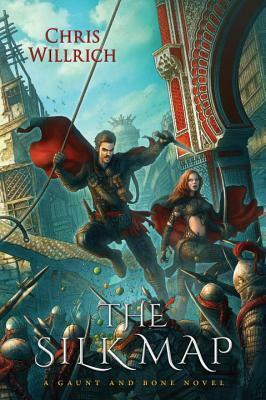 It’s introduced by Hugo Award-winning editor of Pyr books and middle-grade fantasy author Lou Anders. Lou first encountered Chris’s fiction here in BCS and liked it so much that he acquired three of Chris’s adventure fantasy novels for Pyr Books. His perspective on Chris’s work, and on “How the Wicker Knight Would Not Move” in particular, makes for a fascinating introduction to the story. In conjunction with this premiere episode of The BCS Audio Vault, we’re giving away a signed copy of Chris’s new second novel, The Silk Map, set in the same world as “How the Wicker Knight Would Not Move” and featuring his characters Gaunt and Bone (also in his story “The Sword of Loving Kindness” in BCS #1). Enter the giveaway here. 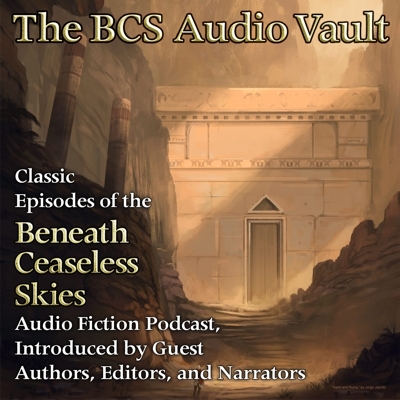 And to hear classic BCS audio fiction introduced by great guests, check out The BCS Audio Vault, or subscribe to its RSS feed, or look for it on iTunes. Swords! Dragons! Knights in armor! 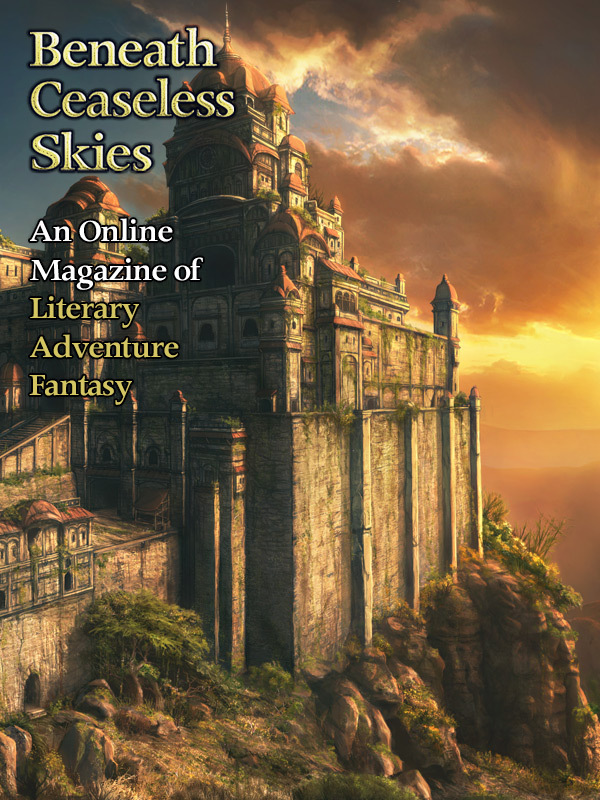 Often fantasy short fiction readers, and writers, turn up their noses and groan at these classic elements of fantasy fiction. But these elements have a powerful and endearing resonance with millions of readers, TV viewers, RPG players, and gamers. And they can still be written grippingly well in fantasy fiction. George R.R. Martin’s Ice and Fire novels feature many common fantasy elements, but he does them with equal focus on the characters as nuanced, flawed, conflicted real people. BCS readers, feel free to add your favorites! The ‘From the Archives’ story along with BCS #128 is “The Bone House” by James Lecky, from BCS #20. Like “The Clay Farima” by Henry Szabranski in BCS #128, its protagonist, left with one parent and only memories of the other, strives to find answers and meaning along with the parent. 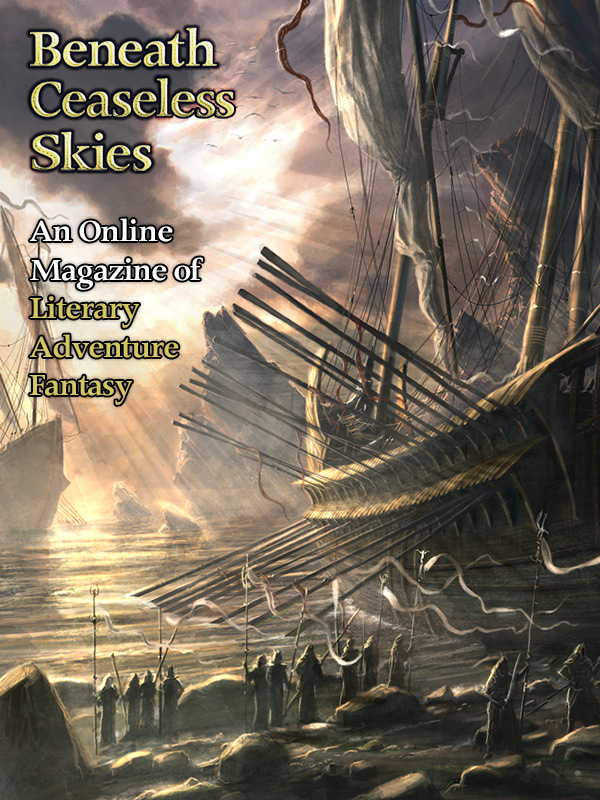 James Lecky’s other BCS story, “And Other Such Delights” in BCS #42, is different but just as vivid and impactful. The ‘From the Archives’ story along with BCS #127 is “The Gardens of Landler Abbey” by multiple-time BCS author Megan Arkenberg, from BCS #83. Alongside “The Study of Monstrosities” by Greg Kurzawa and “The Crooked Mile” by Dan Rabarts, it comments on the nature of monsters, both real and human (which may be the realest of all). Also look for our guest-narrated audio podcast version of “The Study of Monstrosities,” coming next week with BCS #128. 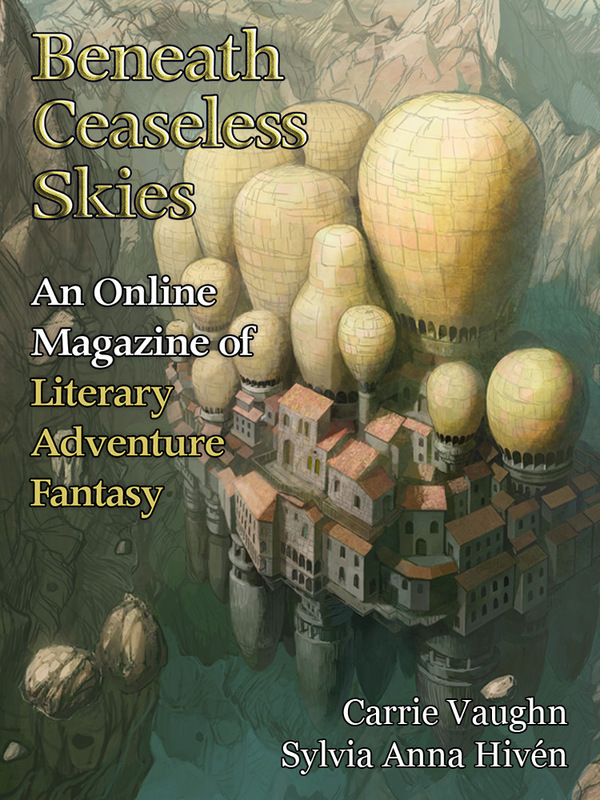 The ‘From the Archives’ story along with BCS #125 is “Unsilenced” by Karalynn Lee, from BCS #105, our Fourth Anniversary Double-Issue, in Oct. 2012. It has a similar tone as “Else This, Nothing Ever Grows” by Sylvia Linsteadt, with a protagonist on a lush journey among strange characters and demigods in a search involving love and personal identity. The realms are different, more of a fantasy realm instead of a Pacific Northwest sort of forest, but the journeys are not unlike. The ‘From the Archives’ story along with BCS #124 is “The Girl Who Tasted the Sea” by Sarah L. Edwards, from BCS #53. It has a similar tone as “The Girl Who Welcomed Death to Svalgearyen” by Barbara A. Barnett in BCS #124, beyond just the surface similarity in the title. Both deal in fable-like yet still tactile and vivid tones with young characters facing challenges of family and their place in the world. “The Girl Who Tasted the Sea” doesn’t encounter any Death, but what she faces is just as powerful.